Sketchpacker Diaries: Photos of Sketches (AND VIDEO!!!) 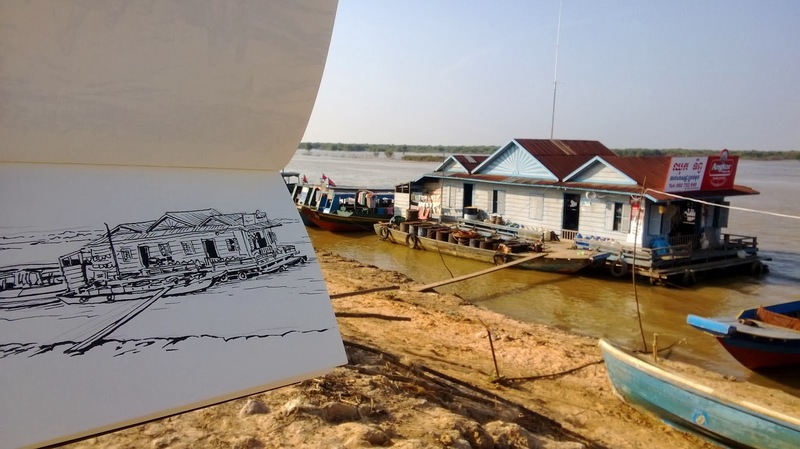 from Siem Reap Sketch Trip! Photos of Sketches (AND VIDEO!!!) 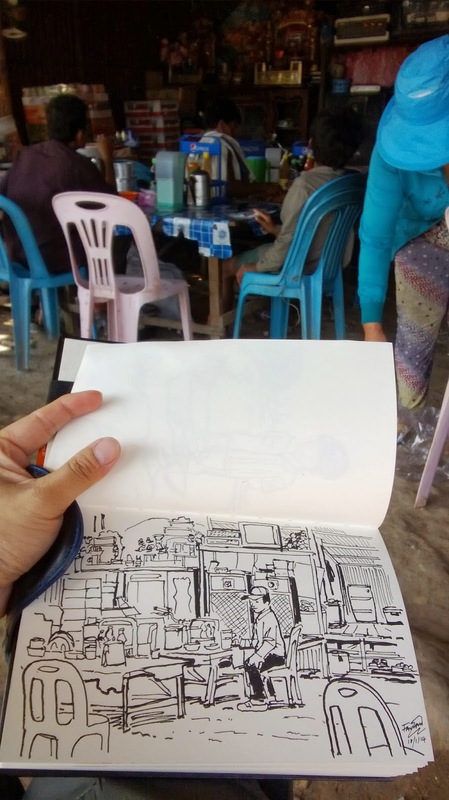 from Siem Reap Sketch Trip! 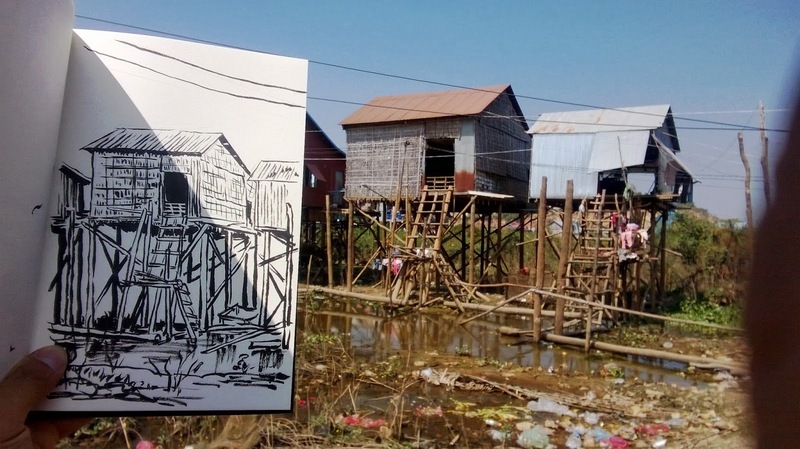 It's been over 2 weeks since I returned from Siem Reap on a sketchpacking trip with my Urban Sketcher friends, and it was a whirlwind of an experience! We practically hit the ground running, and it was all "go, go, go" during our short 6-day stay. That is, until I came down with fever and diarrhoea. But that's another story. I will scan and post my sketches over the coming long weekend (it's the Lunar New Year! ), but here are some photos I took of my sketches. I must really thank Parka for lending me his camera, because mine died on the morning of the second day into the trip and refused to be revived. because I wasn't satisfied with the first watercolour one (below). Ta Prohm. Made famous by the Tomb Raider movie. David and Dalis, a brother-sister pair I met at Ta Prohm. for the clothing of the people in the sketch. The result is below. Ta Prohm sketch #2, coloured with the help of Dalis. tryst with a serpent spirit in the form of a woman. One of the 12 towers of Prasat Suor Prat. Said to be used to settle disputes by divine judgement. One of our only show-and-tells of our trip! And finally, the moment you have been waiting for - Parka's video of our sketch trip! Just to note, the shots are not in chronological order. Enjoy!